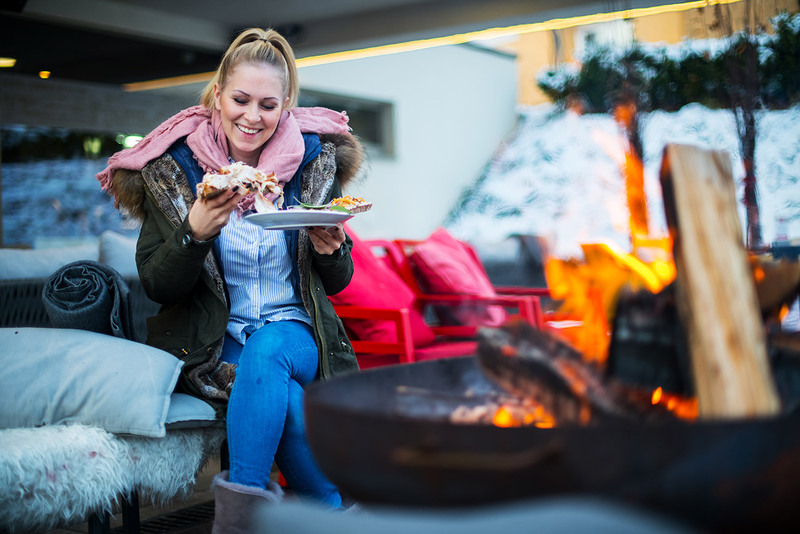 With Christmas sounds, cuddly carriage rides and a warming get-together right by the campfire, it's a perfect Christmas get-together and pampered with wonderful delicacies in the middle of the village in the hotel Rocket Rooms Velden. A homemade punch provides warmth for the little ones, for the little ones delicious fruits with liquid chocolate and classics like cheese noodles, Kaiserschmarren, hearty sandwiches and co may not be missing at the advent hut directly next to the Rocket Restaurant & Bistro. When the snow falls quietly on the ground, you hear bells ringing and the air of vanilla and cinnamon is enchanted, then we know that Christmas is not far away. Every weekend the Advent market takes place. A special highlight and a classic Carinthian tradition is the well-known Krampus run, creatures from the Alps, who accompany St. Nicholas. In the cold winter months, the small, snowy and sparkling town of Velden am Wörthersee enchants the hearts of all ages. It smells of orange, cinnamon and vanilla.